Ruffles are fun, girly, and right on trend! We are loving them on cozy sweaters for Winter. Cascading ruffles down the sleeves, a diagonal ruffle down the front, or a simple little ruffle at the wrist. There are so many options depending on how extreme you want to go! 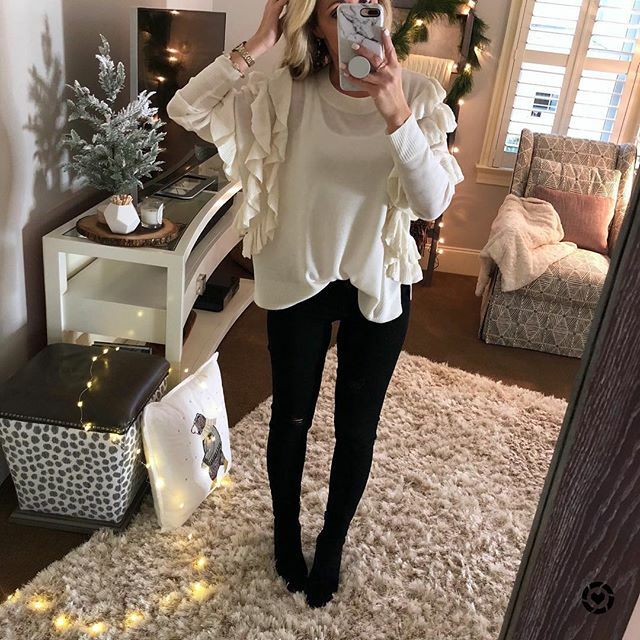 Ruffle Sweater - 3 colors, 40% off! Full outfit details here and here (then just click on this pic). Full outfit details on the blog here.